The holiday season is the perfect time to spread joy and love – along with your goods and services! 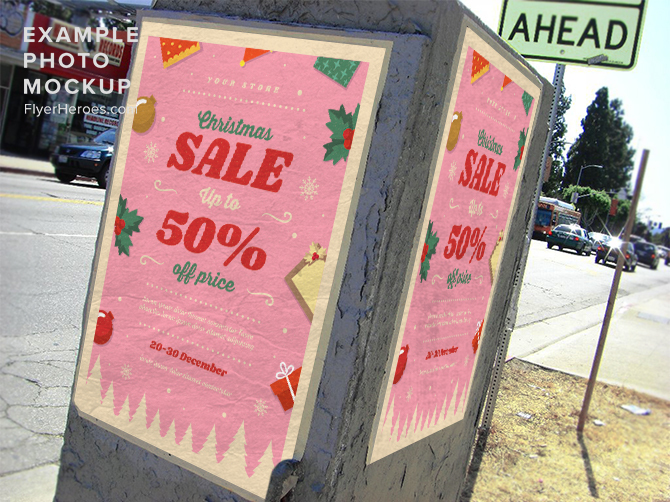 Let everyone know your items are for sale, or throw a Christmas sale for your neighborhood with the Christmas Sale 2017 Flyer Template from FlyerHeroes! This cheerful, bubbly flyer was designed by our talented team, with Christmas images and colors to capture the viewer’s imagination. 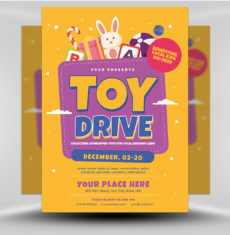 The presents and Christmas ornaments, along with the snowy white trees and clash of color really help this flyer stand out. The fun, striking typography is also completely customizable by you! 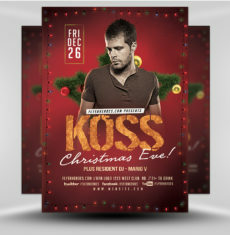 You can change anything and everything on this flyer to reflect the specific details of your event. Re-arrange the layout with our professionally organized layers. Stun your viewer’s with an incredible high-resolution final product. Easy to use. Effective and visually impactful. 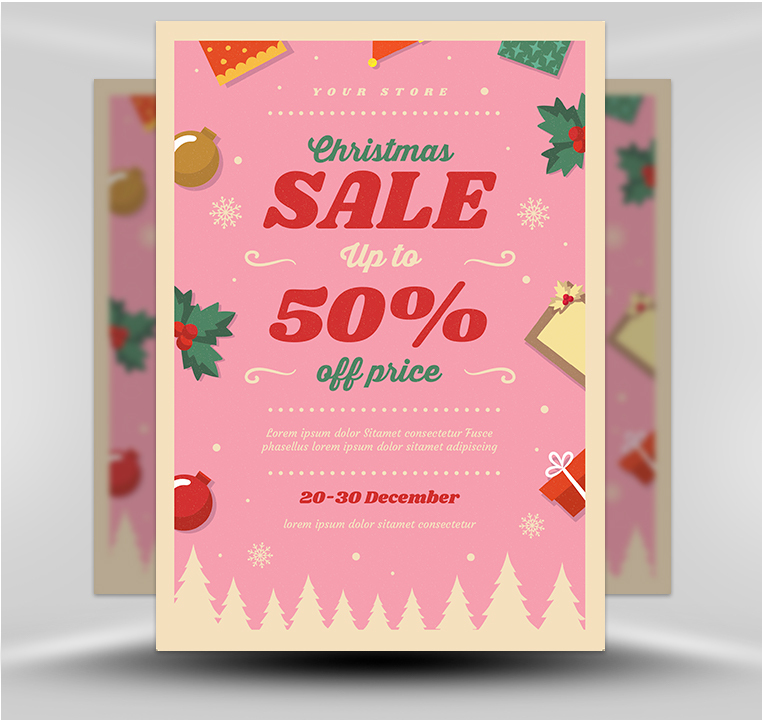 The Christmas Sale 2017 Flyer Template is sure to make your event a success. Get yours today at FlyerHeroes! 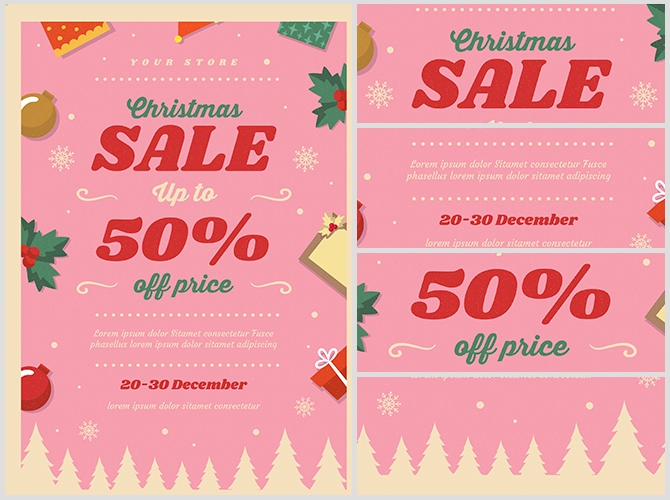 For any kind of Christmas sale, there’s a flyer options for you. 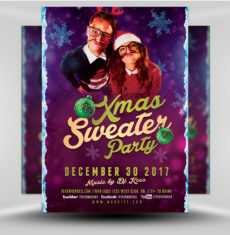 Pair multiple of our flyers together for an effective marketing campaign, and search in the bar above for the flyer that’s perfect for your event. The Christmas Craft Fair Flyer Template will be the joy of the season. 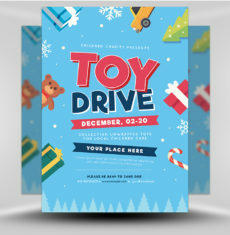 Let the whole neighborhood display their wares with the Rustic Christmas Market Flyer Template! Those and many more flyers are available right now at FlyerHeroes.com! 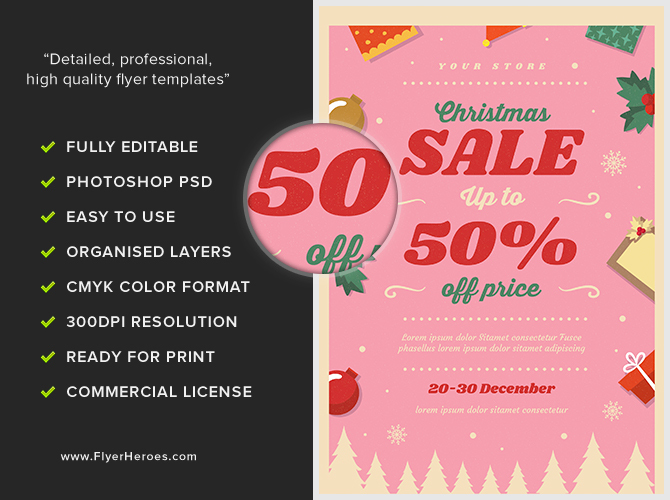 The Christmas Sale 2017 Flyer Template is a premium Photoshop PSD flyer / poster template designed by FlyerHeroes to be used with Photoshop CS4 and higher.